Life is able to thrive deep within sediments, where there is neither light nor oxygen. 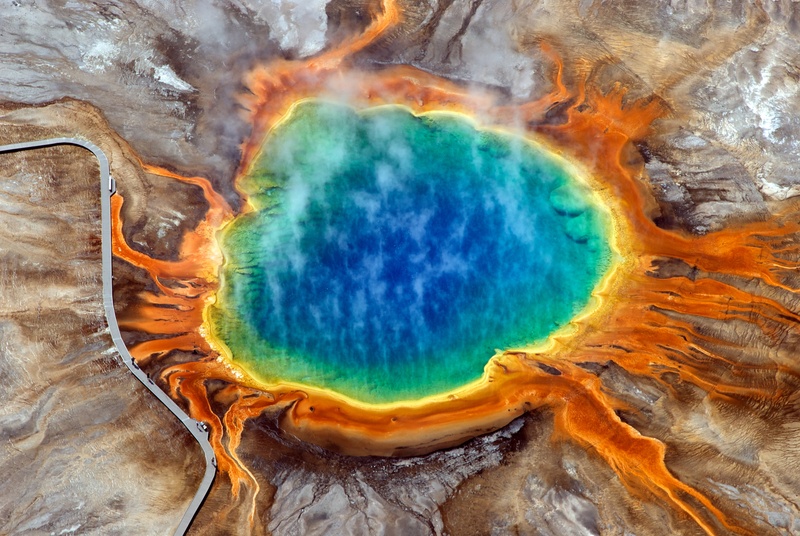 Microorganisms that inhabit these extreme environments are revealing new information about life and may even tell us how it evolved in the first place. My current research on sediments from Lake Towuti in Indonesia is expected to provide unique insights into Earth’s early environment, over 4 billion years ago. We know that the ‘deep biosphere’ is an extreme environment in which microorganisms have to cope with high temperature, high pressure, limited energy and nutrient availability, extreme acidity or alkalinity, and even radioactivity. If you compare microbial life at the surface to that in the deep biosphere, life in the subsurface seems to take place in slow motion. While exploring the surface biosphere is quite easy, discovering the deep biosphere is dependent on drilling operations, which are associated with high costs and considerable logistical effort. In view of the fact that microbial life in the deep biosphere is extremely slow and exploring at depth involves a great deal of effort, are investigations into the deep biosphere really worthwhile? The answer is a resounding YES, and I will provide below some exciting facts to support that response. In a recently published paper, Sean McMahon and colleagues tried to evaluate how much the deep biosphere actually weighs. His estimate was that up to 135 petagrams (1Pg = 1015 grams) of microbial carbon is stored in the continental crust. Since this is equal to 20% of the estimated total carbon stored in living organisms, the deep biosphere clearly plays a significant role in global biogeochemical cycles. There is also increasing industrial interest in the subsurface, including for oil exploration, for geothermal energy and heat storage, and for nuclear waste disposal. Microorganisms can both produce and consume natural resources. Understanding these processes will eventually lead to the development of useful biotechnical applications. Recent studies have even shown that certain bacteria living in the deep biosphere can ’eat’ nuclear waste and thus help in nuclear waste clean-ups. Many industries are therefore very interested in new investigations that are likely to contribute to a better understanding of the deep biosphere. Microorganisms need energy to sustain their cell functions, such as those involved in movement, cell division, and the transport of metabolites. They obtain this energy through biogeochemical processes since approximately 3.8 billion years so they have fundamentally shaped the surface of the earth. Little is known about early microbial life on Earth and it has been suggested that the deep biosphere may serve as a model for early life on Earth. There was no oxygen present in the atmosphere during the first 2 billion years of Earth’s history and volcanic eruptions, meteorite showers and cosmic radiation combined to create a hostile environment. It was during this time that microbial life first evolved in the anoxic oceans and in the deep biosphere. Scientists have recently discovered a lake in Indonesia (Lake Towuti) that may serve as a unique modern analogue of the stratified, iron-rich conditions that are thought to have prevailed in the anoxic oceans of the early Earth. Lake Towuti is a stratified, iron-rich, ultraoligotrophic and non-sulfidic basin with anoxic bottom waters. This geochemical environment has never previously been investigated. In May 2015 I took part in a drilling program in this lake (International Continental Scientific Drilling Program – ICDP) during which we were able to retrieve a 110 m sediment core spanning the last 600,000 years. 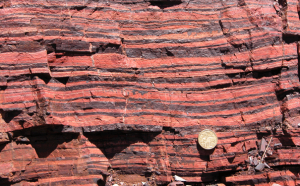 With this sedimentary record I propose to explore the deep biosphere of Lake Towuti in the hope that the results can then be related to early microbial life on Earth, and also to associated diagenetic processes such as those that led to the formation of Banded Iron Formations (BIFs). I am confident that my investigations on the core from Lake Towuti will result in a better understanding of the early Earth’s early environment. Microorganisms are clearly able to adapt to extreme environments and make use of a large number of different biogeochemical processes. No chemical or physical parameters have yet been found to restrict microbial life. Microorganisms can thrive at any pH and in laboratory experiments microorganisms have been exposed to pressures that are encountered at depths of hundreds of kilometers, with at least some of these microorganisms surviving these extreme conditions. Only temperature may prove to be a limiting factor as no life has yet been found at temperatures greater than 120 °C. The take home message of this blog is therefore that we should start paying a little more attention to the microorganisms deep beneath our feet! 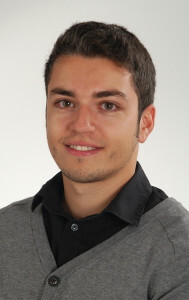 I did my Bachelor of Science in Geosciences at the Ernst-Moritz-Arndt University of Greifswald in 2011 and earned my Masters degree in Geology/Mineralogy at the University of Potsdam in 2015. Since then, I am a PhD student at the GFZ German Research Center for Geosciences in the section 5.3 Geomicrobiology in Potsdam. Tagged Deep Biosphere, Early Life on Earth, Microorganisms.